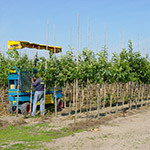 We are always trying to optimize our process in order to guarantee the quality of our trees. 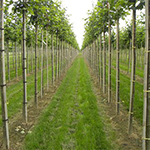 Here we give you a look at our nursery and show you how we go in four steps from maiden to standard tree. 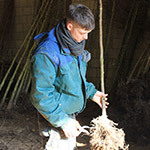 We purchase young maidens so we can cultivate them to fully grown trees. 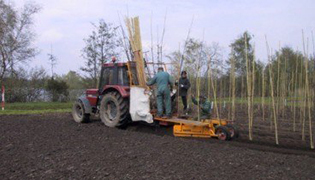 During this process a number of aspects are important to obtain good starting material in our nursery. 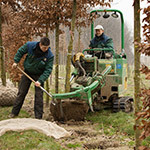 By paying sufficient attention to the purchase and planting of trees, we reduce the failure rate in the first year. 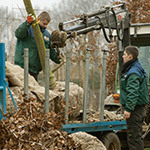 It also allows our staff to focus on the growing of trees. 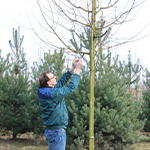 When your order arrives to our office, a quality employee will select uniform trees for your project. 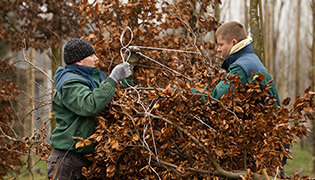 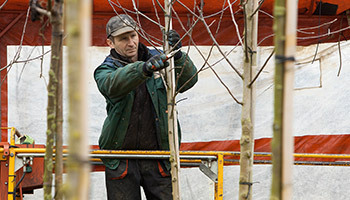 Even before the trees are removed from the field, the wire baskets are tightly secured in order to protect the root system and the heads of the trees are tied together to prevent branch damage. 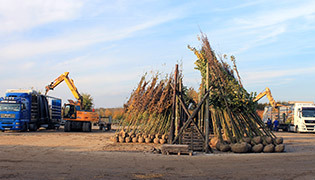 When the trees are collected from the field, we are already aware where the trees should be loaded onto the trucks. 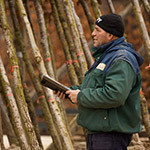 Before the loading begins, our chief checks the quality and completeness of the order.